This is a recipe by PumpUp member @racheell. Find her mostly on PumpUp, on Twitter, Instagram, and Wordpress. Happy New Year PumpUp Family! 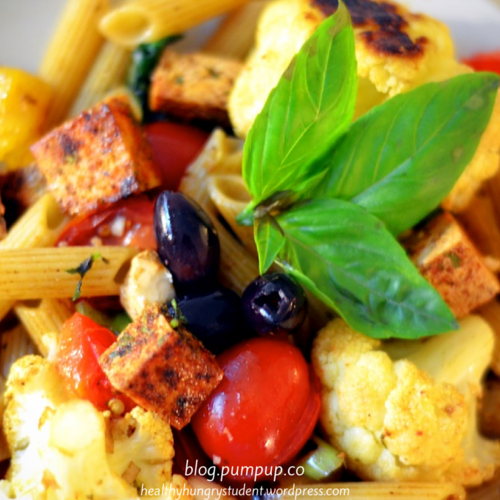 We meet again with a new healthy, easy and yummy recipe! One of the top 5 New Year’s resolutions is to stay fit and healthy. I’ve been there, I know what it means. However, saying isn’t as easy as doing, especially if a person lacks certain knowledge about how to combine different ingredients the right way. This month, I encourage you to “eat the rainbow”, but also to be mindful about what you eat. Eating healthy is not entirely about eating green veggies or fruits. 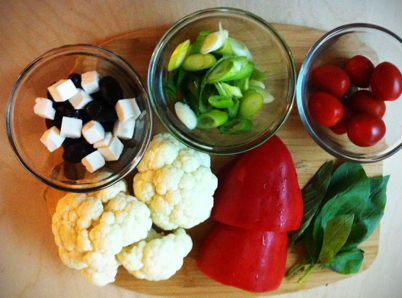 Experiment with different colors of healthy food (it’ll be great, trust me). One of the things that keeps me more motivated is to eat colorful dishes, no matter if it’s morning, lunch, or dinner; I’m all about eating my colors! It makes me really happy, and I find it easier to continue with my healthy habits. Besides, it’s pretty easy to prepare colorful meals! Another thing that keeps me motivated throughout the day is to have a colorful breakfast (if you are following me, you must know that! I always post what I have for breakfast); it puts me in a very good mood! I usually have a plate of different fruits with yoghurt and granola. Or sometimes, when I’m being lazy, I like to have a smoothie: it´s the same, different fruits, mixed with ice, water, milk, whatever you prefer! Once it’s cooked and cooled, add rest of ingredients (except for the lemon juice, salt and pepper) and mix them. Once it’s everything nicely distributed, add the salt and pepper, and mix again. The final step is to add as much lemon juice as you want, garnish with basil, and voila! This recipe is easy, colourful, and delicious. Hope this meal motivates you to continue to pursue your goals for 2015! I’d love to see pics of your creations! See you again next month with a whole new recipe! This post is part of a monthly series by Zoë Desborough. Follow Zoë on PumpUp (@zoedesborough) and on her blog. Hey guys! Oh my goodness, I was so excited to get asked to blog for PumpUp again! I have been on the hunt for new recipes to try out and share with you guys! Funnily enough, the recipe I’m sharing with you today was the first “new” recipe I tried after being featured as “Friday Foodie” in September! I fell in love with it, and so have those who have tried it. I always make a point of sharing with you the sources of my recipes since most of the time, they aren’t originally mine. Also, the cookbooks I reference are great (in my opinion); therefore I think everyone should be able to go check them out themselves. So this recipe is from Bonnie Stern’s Heart Smart cookbook. She’s in association with the Canadian Heart and Stroke Foundation, and has published many books and newspaper columns and articles. She is definitely a must read, as well as a must try. My mom used her cookbooks when I grew up, so I learned to love the recipes and then to make them myself. This recipe has a Mediterranean flavour to it, and is super versatile when it comes to adding “extras”! My personal favourite is adding crumbled feta, while it’s still warm so the cheese melts a little, and tossing in some spicy tofu cubes. It would be amazing with blackened chicken or lemon and oregano chicken. I don’t eat seafood, but I do admit that octopus or squid would be delicious with it. This is a two part recipe, both super simple, but you’ll want to make sure you’re not rushing things. First off, wash and cut your cauliflower. In a mixing bowl, toss the cauliflower in the oil and a pinch of salt. 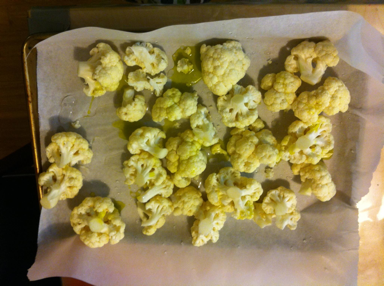 Line a baking tray with parchment paper and spread your cauliflower evenly. Slice and seed your bell peppers. 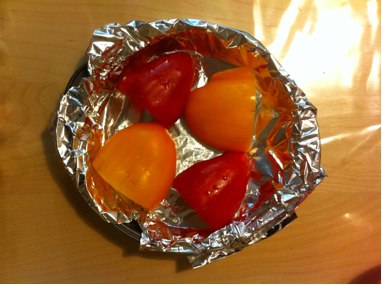 Line a smaller baking tray with aluminum foil and place your peppers sliced side down. Place them in the oven on a rack over the cauliflower. The cauliflower needs to roast for about 40 minutes, until it turns golden brown. You can take it out and shake it a bit half way. When the 40 minutes are done, turn on the broiler and broil the bell peppers until their skin is charred (black and bubbly). Meanwhile, boil the water for your pasta and prep your green onions, dressing, and sides. 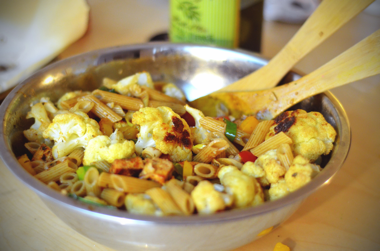 Once your peppers are nice and charred, turn the oven off and pull both the cauliflower and peppers out of the oven. You’re going to want to peel the skin off the peppers and chop them in bite size pieces. You can leave the skin on, but it’s tough and has a burnt taste…I wouldn’t recommend it. BTW, THEY WILL BE HOT. So be careful. In a big mixing bowl, or serving dish, combine all the cooked ingredients (cauliflower, chopped roasted red peppers, green onions, basil, extras, etc.). Toss to coat them with the dressing. Et voilà! Delicious, Mediterranean inspired supper that will remind you of the summer during these cold days! As a little plus, I’ll give you my “secret recipe” for my spicy tofu. It’s so simple, and I never measure anything. All you need is a little bit of canola oil, Sriracha (or any other spicy sauce), chili powder, paprika, garlic powder, salt, and dried coriander flakes. Chop up your tofu in bite size piece and place them in a mixing bowl. 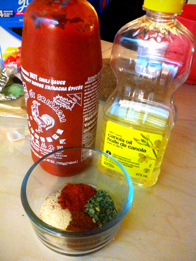 Sprinkle the canola oil, Sriracha, spices, garlic powder and coriander flakes. Toss well to make sure everything is coated. Plop in a pan and sauté away until the tofu turns golden. You can’t go wrong with this. You can adjust the heat by omitting the chili powder and reducing the amount of Sriracha, so play around with the combination you like! 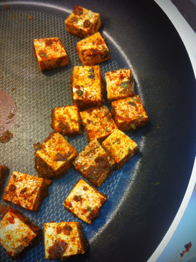 I use these spicy tofu cubes in my salads, soups, etc.! They are amazing with pretty much everything! Read Zoe’s blog for more healthy, allergy-conscious recipes and keep clicking through the PumpUp Daily for Zoe’s September Recipe Round-Up! A guilty pleasure that a lot of us have in common is the one, the only, PASTA. Can we even blame ourselves? Pasta is an explosion of the best flavors. 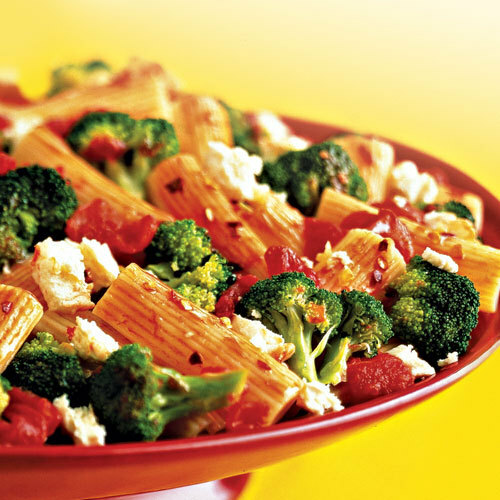 We want you to still enjoy this yummy dish with way less calories and more healthy ingredients! 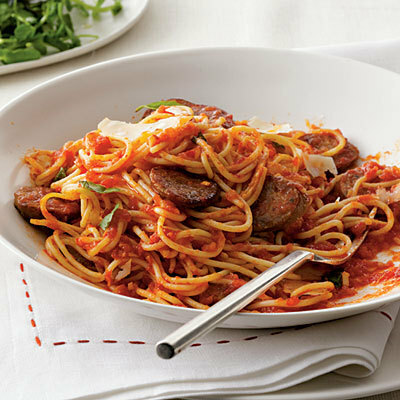 Straight from Italy we have a ton of great pasta recipes on our blog! Keep on reading! 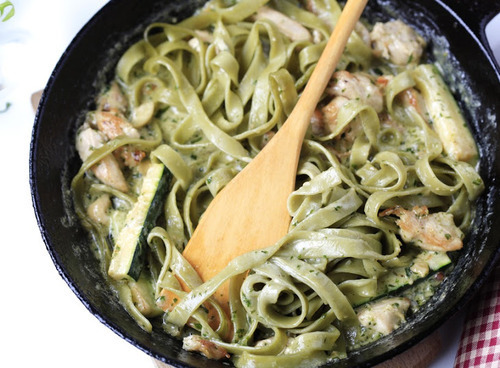 The name of this pasta dish starts with skinny, so already we’re hooked! This hearty lasagna has all the taste we are looking for and half the calories of our regular store bought lasagna. Melt the butter in a large skillet over medium heat. Add the garlic and thyme; saute for 2-3 minutes. Add the spinach; saute until just barely wilted, about 2 minutes. Remove from heat. In a large bowl, combine the ricotta, egg, salt, nutmeg, and a squeeze of lemon juice. Add the spinach and stir to combine. Preheat the oven to 375 degrees. Spread a little bit of tomato sauce in the bottom of a 9x13 pan. 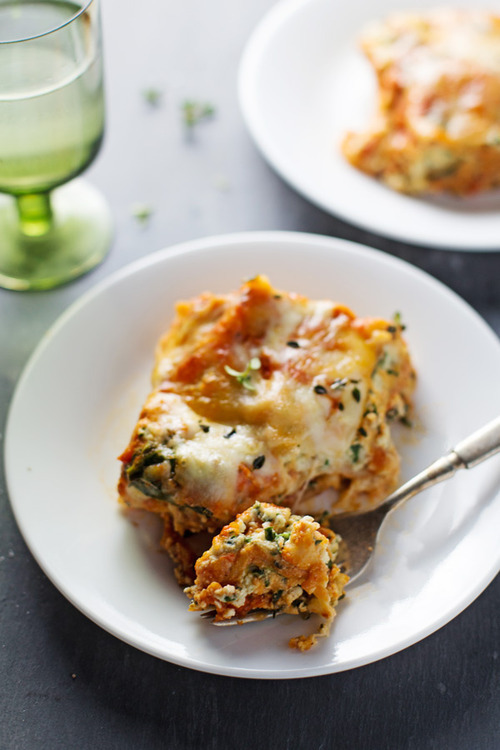 Layer with 3 lasagna noodles, ⅓ of the spinach mixture, ¼ of the tomato sauce, and ¼ of the cheese. Repeat and pour ½ cup water over the two layers. Repeat once more, ending with noodles, sauce, and cheese. Pour ½ cup water over the whole thing again and cover tightly with oiled foil. Bake for 30-40 minutes; when the liquid is bubbling and the noodles have softened, remove the foil and bake uncovered for 10 more minutes. Let stand for 10-15 minutes before serving so that the lasagna noodles can soak up all the extra moisture. Love seafood? 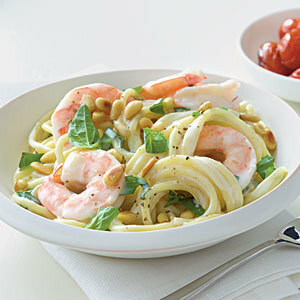 Perfect this shrimp and pine nut pasta is for you! It’s light sauce is the perfect way to enjoy a lot of this pasta goodness. Bring water to a boil in a large saucepan. Add pasta; cook 7 minutes. Add shrimp to pan; cook 3 minutes or until shrimp are done and pasta is al dente. Drain; keep warm. While pasta cooks, heat a small nonstick skillet over medium heat. Add nuts to pan; cook 2 minutes or until lightly browned. Combine ½ cup milk and flour in a large saucepan, stirring with a whisk until well blended. Place pan over medium heat; gradually stir in remaining ½ cup of milk. Stir in mustard and nutmeg. Bring to a boil; reduce heat to medium-low, and cook 5 minutes or until mixture begins to thicken, stirring constantly. Stir in salt and pepper; cook 1 minute. Add drained pasta mixture, cheese, and chopped basil, tossing gently to combine. Sprinkle with nuts and torn basil. Serve right away! Like it simple? 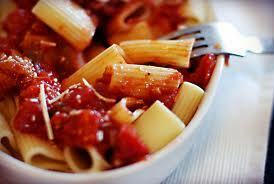 Tomato sauce and pasta, this one is all yours, add a little sausage for some extra flavour and protein to fill you up! Arrange sausage on a small baking sheet. Broil sausage 5 minutes on each side or until done. Remove pan from oven (do not turn broiler off). Cut sausage into 1/4-inch-thick slices. Arrange slices in a single layer on baking sheet. Broil sausage slices 2 minutes or until browned. Cook pasta according to package directions, omitting salt and fat; drain. Place tomatoes in a food processor; process until almost smooth. Add crushed red pepper and minced garlic; sauté 1 minute. Stir in tomatoes, sugar, and salt; cook 4 minutes or until slightly thick. Add sausage and cooked pasta to pan; toss well. Top with fresh basil and Parmesan. Cook tortellini according to package directions, omitting salt and fat. Add snap peas to pan during last 3 minutes of cooking; cook 3 minutes. Drain. Place mint and next 7 ingredients (through garlic) in a mini food processor; process until finely chopped, scraping sides of bowl once. Combine oil and juice in a small bowl, stirring with a whisk. With processor on, slowly pour oil mixture through food chute; process until well blended. 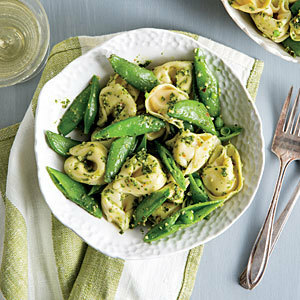 Combine tortellini mixture and mint mixture; toss gently to coat. Haven’t heard of watercress? Well who cares? Pick some up and create this awesome dish! 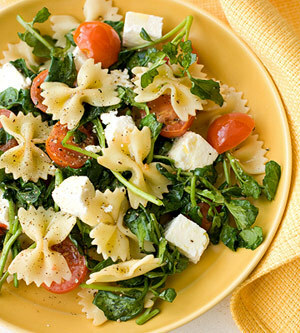 Place the cheese in a large bowl; top with the watercress. Place the tomatoes in a colander. Drain the pasta over the tomatoes for a super-quick blanch. Toss with the watercress and cheese; sprinkle with pepper and serve. 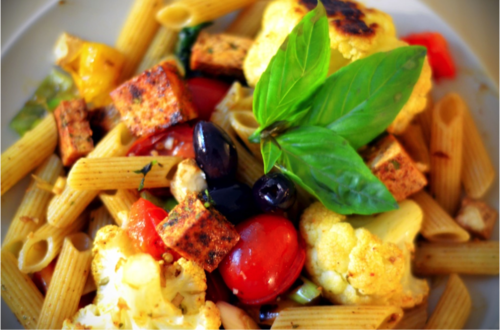 Here’s an awesome recipe to make sure you are eating all your vegetables, but they taste so much better this way! Heat the oil in a skillet over medium low heat. Add the garlic, and cook gently for 1 minute. Add the tomatoes (with juice), vinegar, basil, and red pepper flakes. Increase the heat, and bring the sauce to a simmer. Cook the sauce for 15 minutes, stirring frequently. While the sauce is simmering, add the pasta to the boiling water. When the pasta is almost done, add the broccoli to the pot, and cook for 2 minutes longer. Drain the pasta and broccoli, and transfer them to a large bowl. Add the sauce, and toss well. Sprinkle with the feta cheese. 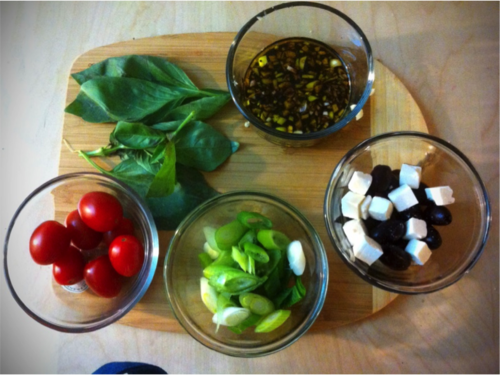 Using a food processor, pulse together all of the ingredients for the pesto. You will only need half for the recipe, so pack and store the remaining pesto. Bring a pot of salted water to a boil and cook according to the package directions, taking it out 2 minutes early so it doesn’t overcook when you add it to the sauce. Reserve 2 tbsp. of the cooking water. In a large saute pan over medium heat add the butter and let it melt. Spray some additional cooking spray and add the onions. Cook for 3-5 minutes until they begin to soften up. Add the garlic and chicken. Cook for about 5 minutes and then add the zucchini. Cook until the chicken is cooked through and zucchini is cooked to your liking – about 5 minutes. 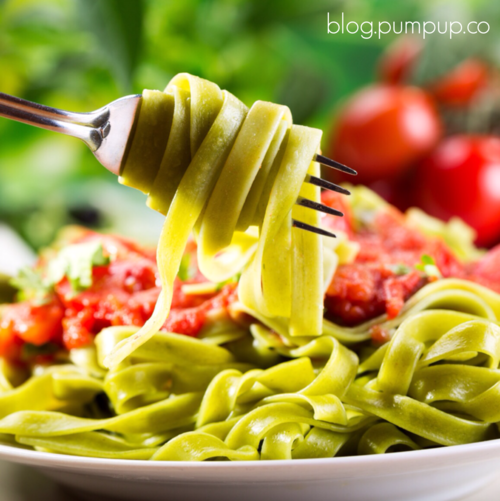 Turn off the heat and add the cooked pasta, pesto, cream cheese, and water to the pan. Stir together everything and serve. Here’s another simple one for ya! Good old tomato sauce is always a safe and delicious bet. Bring a large pot of salted water to a boil. Cook pasta according to package instructions. Drain pasta and return to pot. Meanwhile, heat oil in a medium saucepan over medium. Add garlic and cook until fragrant, about 1 minute. Add tomatoes and season with salt and pepper. Cook until slightly thickened, about 3 minutes. Toss with pasta. Serve topped with Parmesan and basil. Now it’s time to turn your kitchen into little Italy and get to work on what delicious pasta recipe you are going to create!